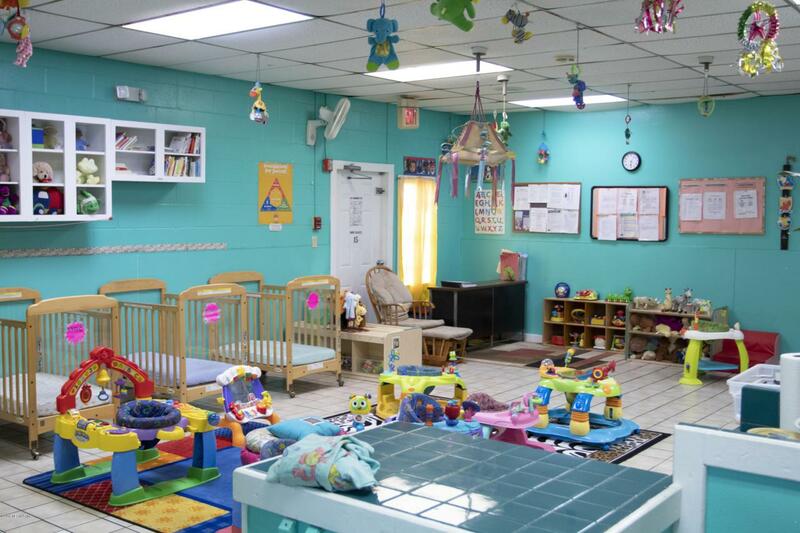 Amazing opportunity to purchase this commercial building along with this GROWING yet established state certified Day Care Center Business. Own the building, do not pay anymore rent!!!! Licensed for 100 with after school & VPK services. Fully fenced Playground.Close to freeway & area schools.The surrounding area is mostly residential with new Apartments & single family homes. Upside potential for financial improvement & management. All contents included. Please, do not disturb the business! !